SJS Handyman is proud to serve Rancho Bernardo. We have been providing handyman services to our customers for years. If you need a handyman in Rancho Bernardo please choose us. We’d love to add you to our list of extremely satisfied customers! Maintaining a home can be very stressful. But it doesn’t have to be. We’re here to help. We can provide our handy experience to help keep your home in great shape. We remove the hassle from both maintenance and home improvements so you can enjoy your home for years. We pride ourselves on some of the fastest service in the business. We don’t just take jobs anywhere we can get them. We focus on the city of Rancho Bernardo and it’s neighboring areas. This enables us to respond to our customers’ needs quickly and efficiently. The goal is to be as close to our customers as possible so we are always just a quick phone call away. Call 760-580-5224 or submit a free quote request using the form to the right. 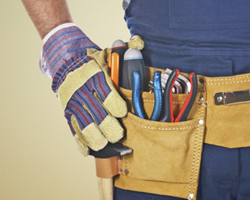 We’d love to provide you with our experienced handyman services for years to come. He fixed our closet door nightmare!